Runs January 1, 2016– December 31, 2016 (books read prior to 1/1/2016 do not count towards the challenge). You can join anytime before September 30, 2016. 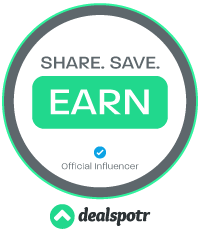 Sign up in the linky at the bottom of this post. The goal is to outdo yourself by reading more in 2016 than you did in 2015. See the different levels below and pick the one that works best for you. You can move up a level as often as you’d like but no moving down. Remember, the idea is to challenge yourself. Books can be any format (print, ebook, audio). Books can be any genre (fiction, nonfiction, romance, mystery, etc.). Novellas that are 100 pages in length (give or take), as well as full-length novels, will count for this reading challenge. 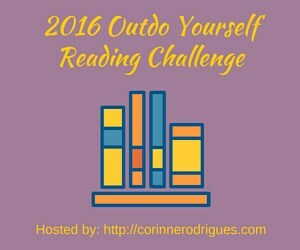 To join the challenge, grab the 2016 Outdo Yourself Reading Challenge button below and post this reading challenge on your blog to track your progress. Please include a link back to this sign-up post so others can join the reading challenge too. You do not have to be a blogger to participate; you can track your progress on Goodreads, LibraryThing, BookLikes, etc., so as long as you have a dedicated shelf for the 2016 Outdo Yourself Reading Challenge and your profile is not private. The point of linking up is to have a place where people can see what you’re reading. I love this challenge. I do it every year, though I usually fail miserably. Still I try. This year I am taking a more realistic stab at it, since my goal is 100, that means I need to read 101-105. I should be able to do that since I did this year. Wish me luck anyways... lol. I joined too! Good luck! This is a challenge that makes sense to me. So many challenges have you reading things you may not want to or pushing yourself too hard. I read for enjoyment and it needs to be that. I've actually been reducing my reading goals. I still tend to over reach them but I don't do well with the pressure. I hope you are successful.